As Emily grows, the more her diet repeats itself, and the more proper food she eats. However, today for dinner she found another baby food straight out of the upper middle class book of buzz foods. Ricotta, really Heinz? I can barely spell ricotta, let alone recognise it's taste. Surely the generic title 'pumpkin and cheese' would do? Anyway! excitement spread over my face. I realised this would be an opportunity to add to my already booming collection of foods containing pointless ingredients which should never be allowed near a small child's mouth, but at such trace levels that they barely do anyway. I feel like this is false advertising. I buy something on the pretence it is a pumpkin and spinach food, with a little bit of cheese: look at everything else in it! Half a percent spinach... It's not even trying to make an impression on the flavour, as opposed to the FIVE other vegetables listed as being present in higher quantities. And WTF... Pasta? That's a whole new carbohydratey food group just being dropped in, sorry if your baby who is pretentious enough to be eating ricotta at such a tender age is paleo, guess you can just GGF. And thirdly, I had to look up what pecorino is. Turns out it's a cheese made from the milk of sheep. Sheep. This is a food made for under one year olds. They're usually happy enough to eat a raisin covered in fluff they've found under the sofa. Why the need for sheep's milk? Chuck in some grated mild cheddar, they're happy. Emily's reaction: I wasn't present when she ate this one. 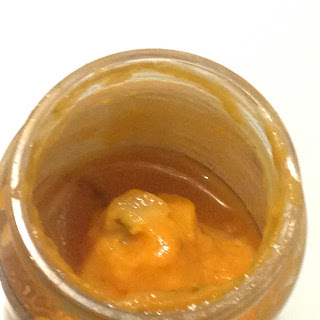 I'm told she liked it, but then, the was also half a jar left. Don't know who to believe any more. 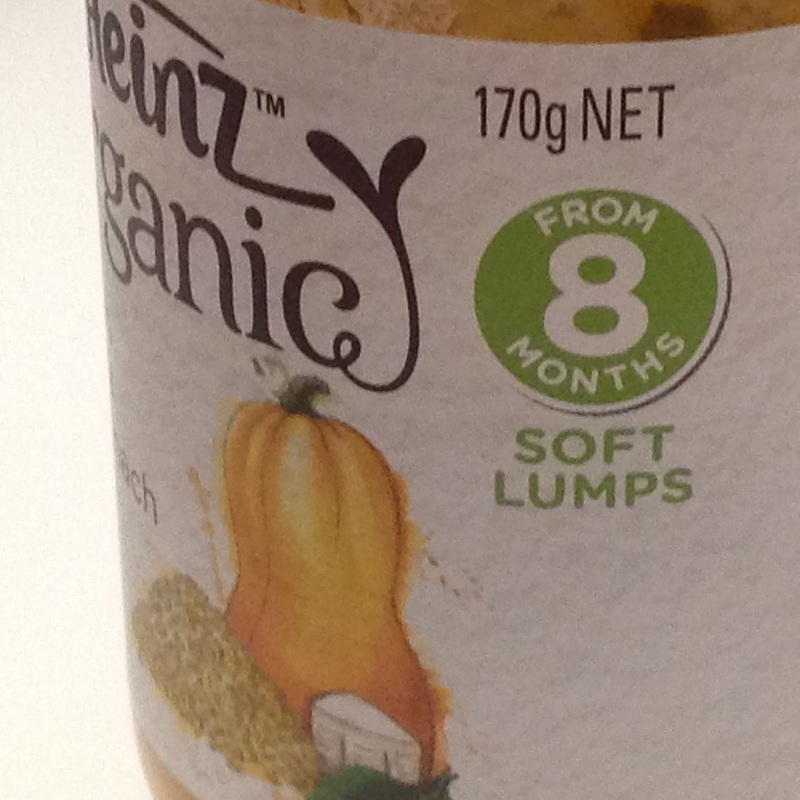 First reactions: Is there any label on a jar, can, or packet of food better worded to get a hunger up than 'soft lumps'? To be fair, 'soft lumps' was actually a fairly good description of what this looked like, a deep orange gloop with indiscriminate chunks of maybe vegetable, maybe pasta, maybe who knows what else interspersed throughout. Bouquet: The pumpkin runs strong on the nose of this one. There are hints of tomato which linger, but the pumpkin is so overwhelming it is easy to see exactly why it deserves top billing. A slightly wheaty tone does hint at the pasta within, but would be easily missed if you knew not it were an ingredient. 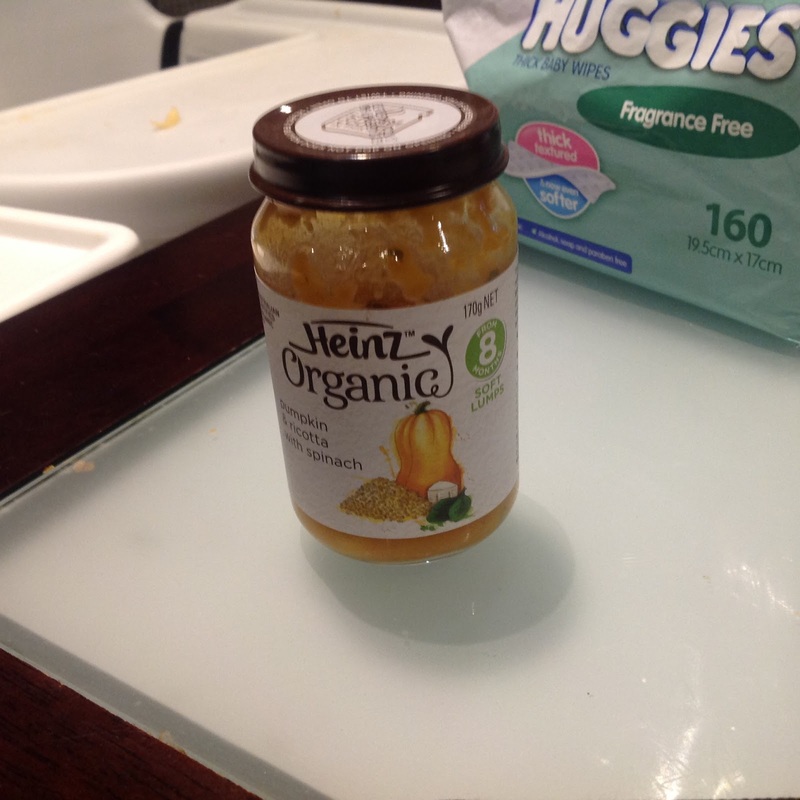 Taste test: I've tasted a fair few baby foods now. Truely, this was the first one I had really hesitated before putting in my mouth. The soft lumps, to be fair, we're probably pretty much what you'd expect: little morsels of pasta (I assume), easily mushed under tongue, and not really adding to the overall flavour. A few small solid bits of onion or zucchini also were obvious on sight, and perhaps hinted at taste-wise if played over the tongue. 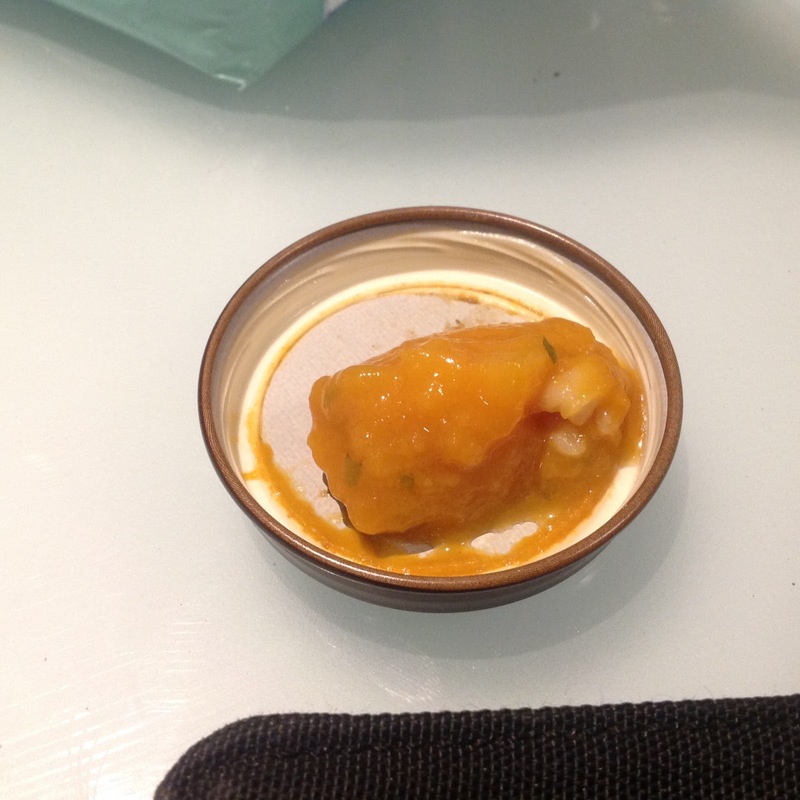 The main substrate of the food was half pumpkin, half tomato, and certainly not unpleasant. Maybe some slight cheesy undertones were detectable, but the overall impression was of a slightly thickened minestrone soup served at room temperature. Was the ricotta and sheepy milk curd really noticeable? No, but I doubt sales would be anywhere near as strong in the upwardly mobile middle class target demographic if you called this cheap vegetables and cheese. Oh, and I'd completely forgotten there was meant to be any spinach in it at all, to be honest. Overall: 7/10. Honestly, it doesn't taste that bad. But cut the crap about the ingredients, and don't advertise the soft lumps. Enjoy: Heat it up in a bowl and add some crusty bread as a starter before an Italian meal.